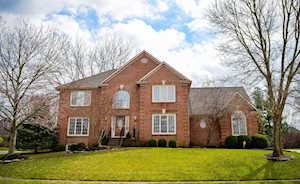 WOLF CREEK is a subdivision of all brick family homes that are accessed from Springdale Road. They are located in between the Gene Snyder Freeway and I-71. Most of these are 4-bedroom homes and vary in appearance. They range in size from 3000 feet to 5000 finished square feet. Wolfcreek homes sell in the upper 300’s to mid-400’s. 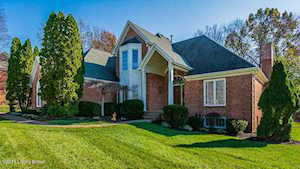 The Hollinden Team updates this search for Wolf Creek homes on a daily basis from the Louisville MLS. You will find the Summit Plaza to be a shopping mecca located on the corner of Springdale and Brownsboro Road. Springdale Road will turn into the Brownsboro road corridor with even more shopping opportunities. The East Norton Hospital complex is up Brownsboro Road and Costco is next door to them. You will find that it is a quick hop to I-71 and then on to downtown Louisville. Nearby golf courses would include the Hunting Creek Country Club in Prospect, Standard Country Club on Brownsboro Road, and the GlenOaks Country Club on the Oldham County line. Ballard High School is just down Brownsboro Road and Kammerer Middle School is nearby as well. Even though Norton Elementary School is very close, there is a good chance that your child may go to Dunn Elementary. If you would like to learn more or have any questions about any of these Wolf Creek houses for sale, or other homes on the Louisville real estate market, just click the "Request More Information" button on any property detail page. The Hollinden Team can provide you with past sale information, comparables, disclosures, PVA assessment, and tax information – we would love to answer any real estate questions you have. You can reach Real Estate Agent Tim Hollinden at 502-429-3866 for more information on these houses for sale in Wolf Creek.